Pictured, Alabama man, James M. Jeffrey who killed himself on Facebook Live. Screen shot moments before shooting death. James M. Jeffrey suicide death on Facebook live: How a boyfriend killed himself after a bad break up live in the latest trend of public suicide. 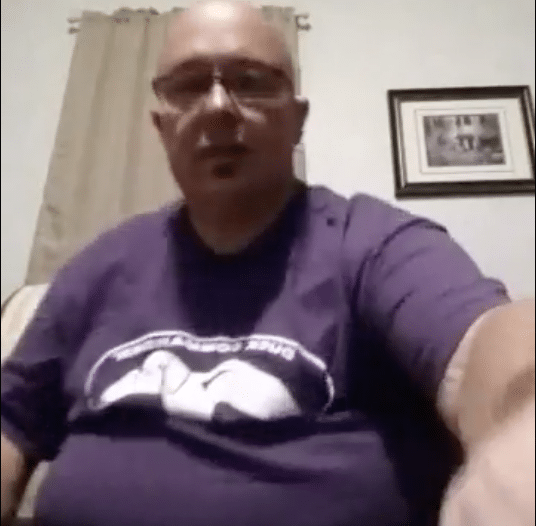 Also joining the ranks of public exhibition suicide is 49 year old Alabama man, James M. Jeffery who live streamed his suicide death on Facebook Live, Tuesday night. A report via AL.com told of the 49 year old Robertsdale man fatally shooting himself on the social media outlet leading to shocked viewers calling 911. Baldwin County Sheriff’s Office had already been contacted by Jeffrey’s ex-girlfriend, who said she was concerned he might harm himself following their breakup. At the time the boyfriend had failed to answer numerous phone calls from the concerned woman. 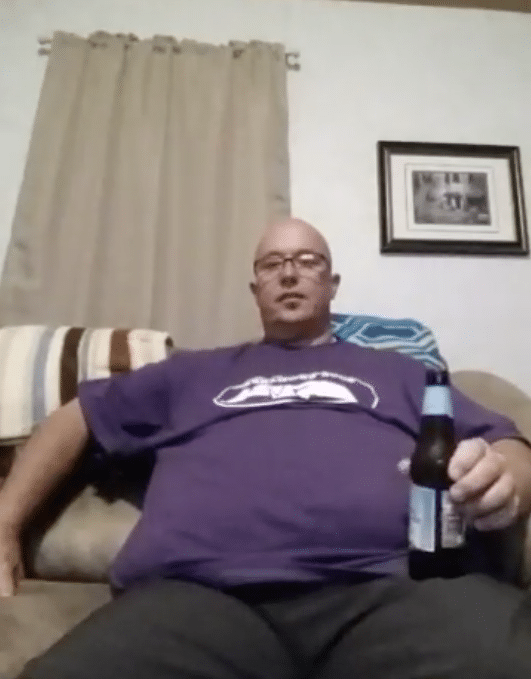 Revealed video, circa 6 minutes long prior to Jeffrey’s suicide shooting death showed him sitting in front of his laptop, drinking an Angry Orchard beer. Moments later after finishing his drink, having at one stage raised a toast to viewers, Jeffrey is seen calmly getting up before returning to shoot himself dead. By the time deputies arrived at the man’s home, the boyfriend was found mortally wounded. 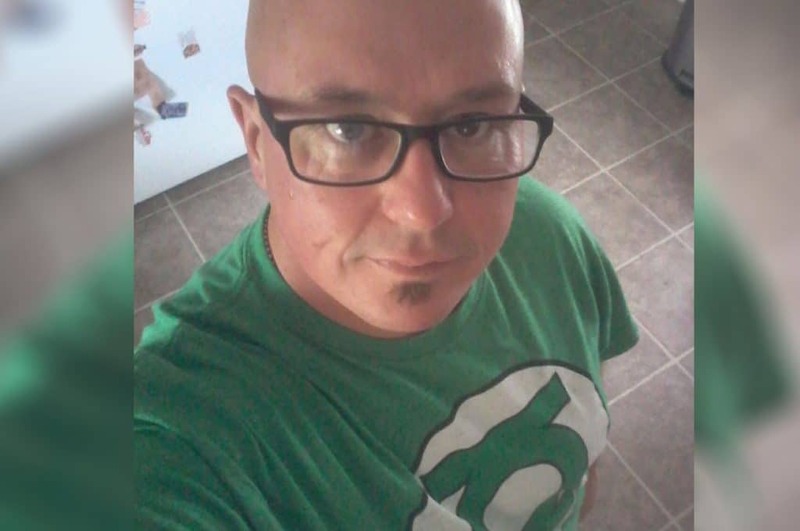 James Jeffrey’s suicide death is one of a series of burgeoning deaths on the social media platform as ‘disturbed’/’distraught’ individuals seeking a kind of transcendence or celestial reverence play out their deep wounds on what has become the world’s largest effective public stage. Baldwin County officers said that Jeffrey’s video was viewed more than 1,000 times before it was removed from Facebook two hours later. James M. Jeffrey Facebook suicide death. 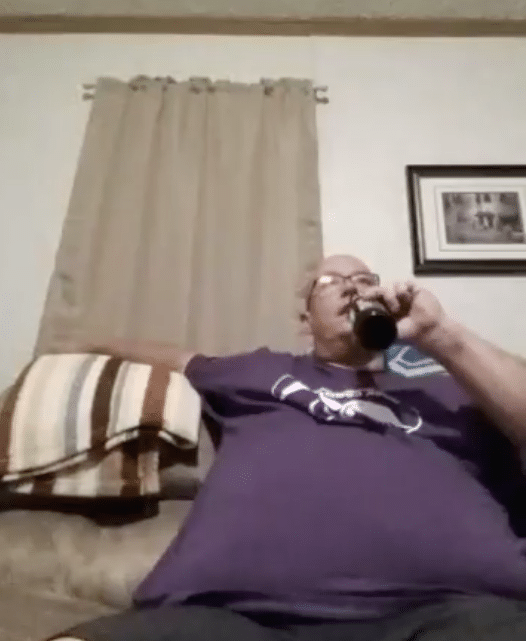 The man is seen staring at his computer, drinking before taking his own life. Facebook has not responded to the latest incident, but announced last month the company’s plans to create real-time suicide prevention tools on the site. ‘We have a lot of work and we will keep doing all we can to prevent tragedies like this from happening,’ Facebook CEO Zuckerberg said. To date there had even been calls to take down the Facebook Live feature in a bid to rein in social media users’ temptation and ease of public behavior. But that too might just be wishful thinking, with Leo Kelion, a technology-desk editor for the BBC, pointing out that Facebook has publicly declined discussing ‘the idea of scrapping’ Facebook Live altogether. With Twitter and YouTube, among others, offering rival live-streaming products, conceding doing so could put it at a disadvantage. Indeed…. 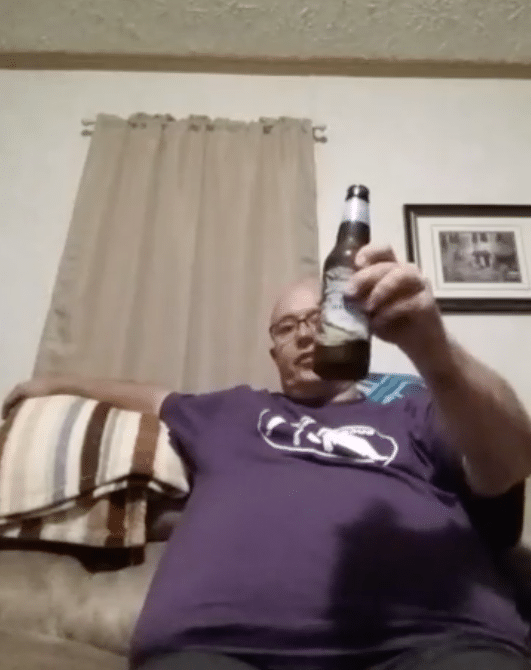 James M. Jeffrey is watched drinking his last drink, perhaps with his audience on Facebook before rising out of the couch and fatally shooting himself moments later.